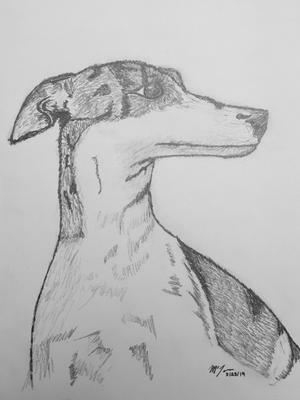 My is a sketch of my Whippet Charlotte. She passed away this year at the age of 10, but was a super sweet dog! Beautiful sketch! From this portrait I can see that she really was a very gentle dog.